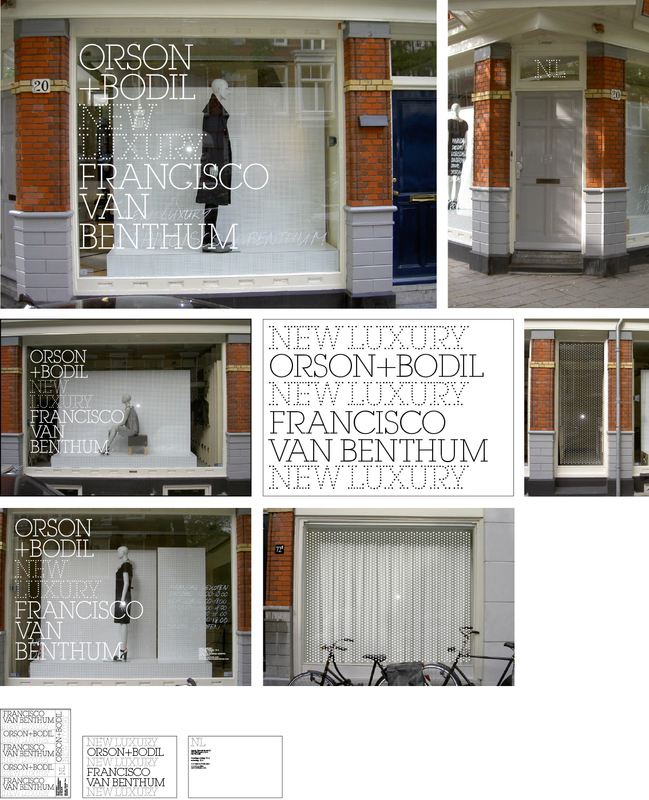 In September 2008 Alexander van Slobbe and Francisco van Benthum asked me to design the house style – especially the window lettering – for their new store in Amsterdam. At the time they were still busy installing everything, so the function of each window (which would be used as display windows? where would the dressing rooms be?) and even the store’s name changed several times, which made me have to adjust the design repeatedly. I loosely based the typography on the dots in the hardboard used (by EventArchitectuur) to construct the interior of the store. The final design was approved, but it turned out that there wasn’t enough money to execute it.